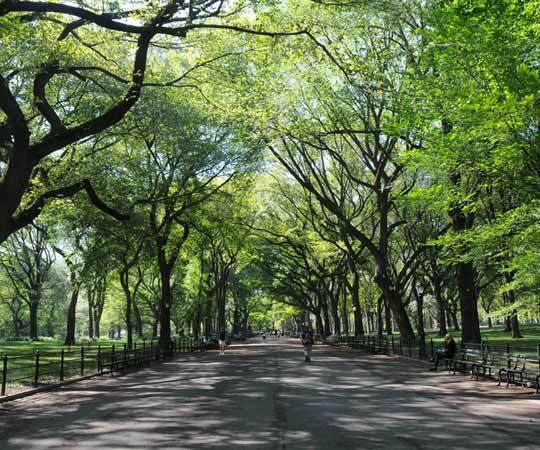 With so many iconic and beautiful settings, Central Park serves as one of the most-filmed locations in the world. It's gorgeous, recognizable, and – of course – synonymous with New York City. In celebration of this month's Film Festival, we take a look at five of the Park's most popular filming locations and their cinematic significance. 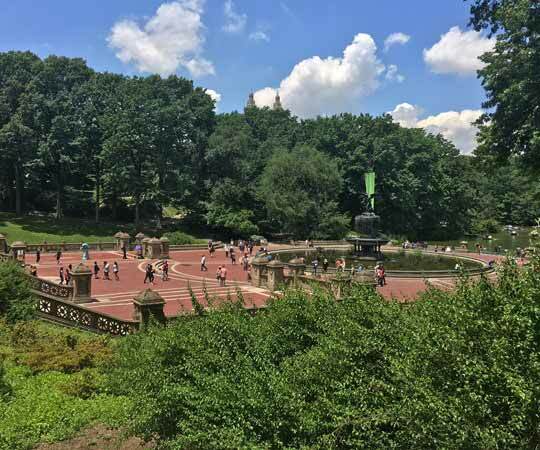 Considered the heart of Central Park, Bethesda Terrace provides an iconic New York City backdrop with the beauty of Bethesda Fountain and a striking arcade with a Minton tile ceiling. To keep as much of Bethesda Terrace open as possible during its busiest times of day, film shoots often occur here early in the morning or late in the evening. Hair (1979): A song and dance sequence for "Ain't Got No" features several shots of Bethesda Terrace's intricate carvings, which represent the four seasons and, on the side facing the Mall, the times of day. Home Alone 2 (1992): Kevin is chased by the Wet Bandits and jumps into a horse carriage in front of Bethesda Fountain. You won't be able to recreate that scene – horse carriages don't actually cross in front of the fountain as shown in the movie. Four rows of American elm trees form a cathedral-like canopy over this heavily trafficked, quarter-mile pedestrian path called the Mall, which is the only intentional straight line in the Park. The Mall provides a perfectly picturesque cinematic setting for chats on a bench and long walks. Breakfast at Tiffany's (1961): Naumburg Bandshell, at the north end of the Mall and the only Neo-Classical building in the Park, makes an appearance. Though the movie shows several rows of benches in front of the Bandshell, benches aren't there today (except for special events). Kramer vs. Kramer (1979): Ted Kramer (Dustin Hoffman) teaches his son Billy (Justin Henry) to bike on the Mall. This movie was released the year before the Conservancy's creation, so the Mall looks very different today. Now, you'll find fences protecting the landscapes and much healthier lawns. Bow Bridge is one of the City's most romantic settings – film crews may even accidentally happen upon an engagement or wedding here. So it's fitting that Bow Bridge is often the setting for love, romance, and the occasional broken heart. Spider-Man 3 (2007): A jolly Peter Parker (Tobey Maguire) meets with the love of his life, Mary Jane Watson (Kirsten Dunst), on a quiet Bow Bridge. If you're planning a meetup on Bow Bridge today, don't expect to find it so empty – it's one of the most popular sites in the Park. Enchanted (2007): A song and dance sequence for "That's How You Know" features a handful of Central Park hot spots. When Bow Bridge is on the screen, you'll spot plenty of rowboats navigating the Lake. That's indeed what the Lake looks like on a beautiful day, thanks to popular rowboat rentals at nearby Loeb Boathouse. In addition to renting rowboats, visitors at the Loeb Boathouse can hire an authentic Venetian gondola or dine with views of the Lake. 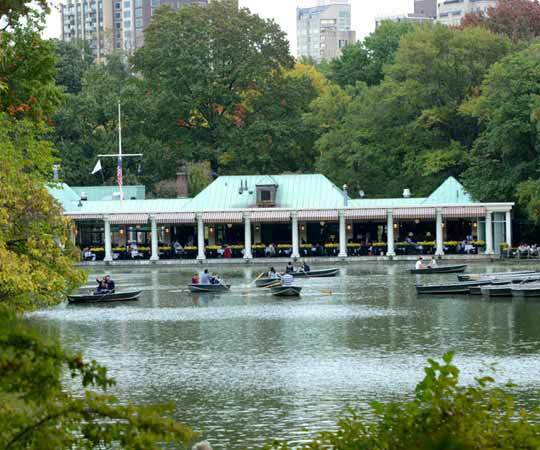 The Loeb Boathouse that New Yorkers and visitors know so well today opened at the Lake's northeastern tip in 1954, after the Park's original boathouse fell into disrepair and was torn down. Manchurian Candidate (1962): See the Loeb Boathouse in its early days – with no rowboats! – in this movie starring Frank Sinatra. When Harry Met Sally (1989): Sally Albright (Meg Ryan) and friends dine at the Boathouse with gorgeous fall foliage in the background. Recreate the scene at the Boathouse's Lakeside Restaurant, which serves meals all day long. 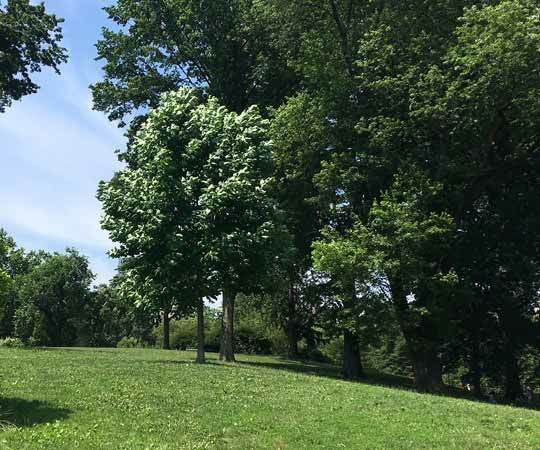 A gentle slope overlooking the Lake with views of the Ramble, Cherry Hill is a popular spot for sunbathing and picnicking. It provides the perfect setting for conversations and relaxation, with the recognizable Lake in the background. Marathon Man (1976): Looking for a movie that features several Central Park scenes? Cherry Hill is just one of the locations you'll find Thomas Levy (Dustin Hoffman) visit. This movie also features the Reservoir, Bethesda Terrace, and the Delacorte Clock. Extremely Loud and Incredibly Close (2011): Thomas Schell (Tom Hanks) and Oskar Schell (Thomas Horn) play together on a swing set on Cherry Hill. The swing set was built for the movie – there are no swing sets to be found on this landscape. Interested in a movie night? Catch our lineup of movies filmed in New York – Spider-Man 3, The Godfather, and more – at this month's Central Park Conservancy Film Festival. The Film Festival is free and features showings in Central Park and Harlem's Marcus Garvey Park. 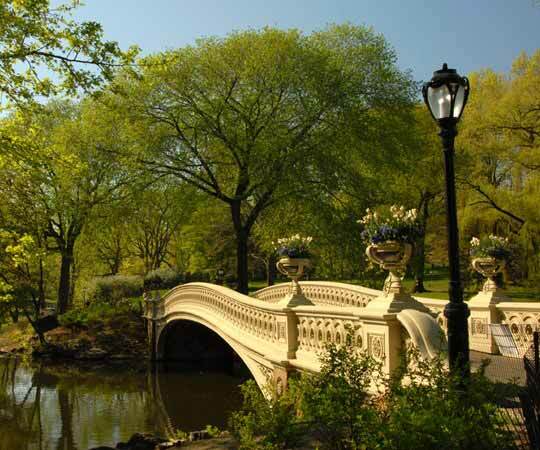 For other news and updates about Central Park and the Conservancy, sign up for our monthly email newsletter.